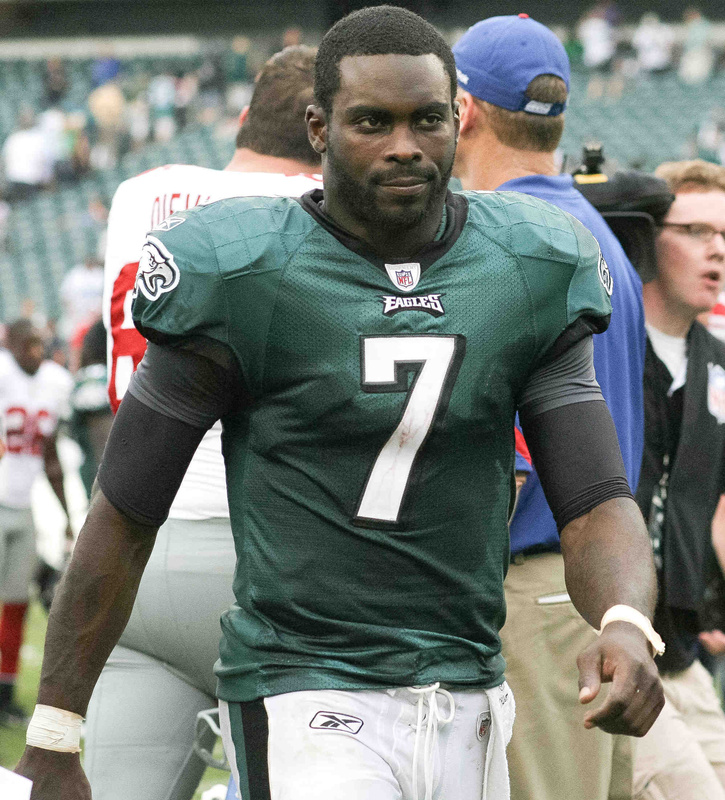 Football: Michael Vick’s injured right hand is bruised, not broken as originally thought. Eagles coach Andy Reid said a CT scan Monday showed the star quarterback bruised his hand in Philadelphia’s 29-16 loss to the New York Giants on Sunday. Reid said X-rays taken during the game showed Vick may have a fracture. It’s uncertain if Vick, who throws left-handed, will play when the Eagles (1-2) host the San Francisco 49ers (2-1) next Sunday. • Britt out for season: Tennessee receiver Kenny Britt has a torn ACL in his right knee and will need season-ending surgery. Coach Mike Munchak announced the results of an MRI exam and said Britt also tore the MCL. The news couldn’t come at a worse time for the Titans (2-1) who are tied with Houston atop the AFC South with a two-game winning streak. The injury leaves Tennessee with four receivers, and team officials already are looking for someone to fill the spot on the roster. • Sanchez, Cromartie ailing: New York Jets quarterback Mark Sanchez has a “minor break” in his nose but has no limitations and will play in New York’s next game at Baltimore, while cornerback Antonio Cromartie has a bruised lung and ribs and his playing status is uncertain. The team also announced that tight end Jeff Cumberland is out for the season after tearing an Achilles’ tendon in New York’s 34-24 loss at Oakland at Sunday. • Syracuse will keep disputed win: The head of the Mid-American Conference says there’s no way to take away Syracuse’s overtime win over Toledo despite a blown call on an extra point. MAC commissioner Jon Steinbrecher said that NCAA rules say there’s no route to reverse the outcome once the game is declared over. Toledo then kicked a tying field goal to force overtime, but the Orange came back with a field goal to win, 33-30. Hockey: The Philadelphia Flyers will host the New York Rangers in the NHL Winter Classic on Jan. 2 at Citizens Bank Park. • Wild’s Staubitz suspended: The NHL hit Minnesota Wild forward Brad Staubitz hard, suspending him for the rest of the preseason and the first three regular-season games for an illegal check on Columbus’ Cody Bass from behind. Staubitz will lose $9,324.33 for the suspension and not be eligible to return until Oct. 13 when the Wild host Edmonton. Baseball: Florida Marlins manager Jack McKeon says he’ll retire at the end of the season at age 80, a decision that had been expected. McKeon is the second-oldest manager in major league history, and he joked he hopes to return in a few years to surpass Connie Mack, who managed the Philadelphia Athletics until age 87. McKeon also retired following the 2005 season with Florida. He returned in June as interim manager after Edwin Rodriguez resigned. • Trumbo’s season over: Los Angeles Angels rookie first baseman Mark Trumbo will miss the rest of the season with a broken bone in his right foot. He is among the top candidates for the American League’s Rookie of the Year Award after batting .254 with a club-leading 29 home runss and 87 RBIs. He could become the first Angels rookie to lead the team in homers and RBIs barring a big finish by Torii Hunter, who has 23 homers and 82 RBIs. Basketball: The Italian team Virtus Bologna says its top offer to Kobe Bryant is a one-year contract worth $5 million. With NBA players locked out, Virtus hopes the Los Angeles Lakers star agrees to a deal before he arrives in Italy this week for a tour arranged by one of his sponsors. The Turkish club Besiktas and at least one team in China have also expressed interest in the 33-year-old Bryant, who has won five NBA championships and been an All-Star 13 times. • Dumars leaves Michigan: Michigan guard Jordan Dumars is leaving the school’s basketball team. Dumars, the son of Detroit Pistons president Joe Dumars, is expected to remain at the university but says injuries have taken a toll on him. He transferred from South Florida midway through the 2009-10 season but didn’t play a game at Michigan because of knee and shoulder injuries.